Support of NFS Volume sharing under Kubernetes. Revert the default disk format to qcow2 for users running macOS 10.13 (High Sierra). DNS name `host.docker.internal` used for host resolution from containers. Fixed hostPath mounts in Kubernetes`. Fix synchronisation between CLI `docker login` and GUI login. 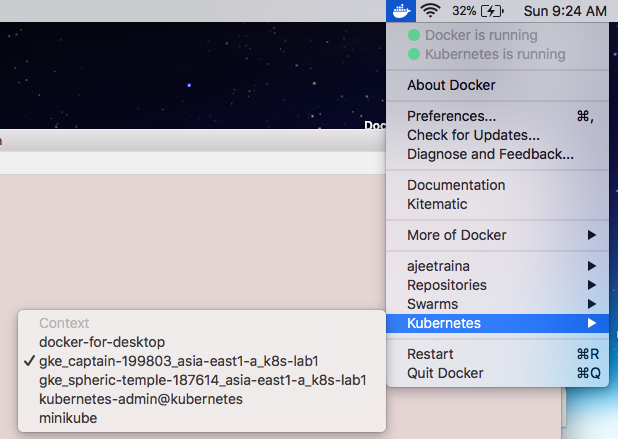 Under this blog, I will showcase how you can bootstrap Kubernetes Cluster on GKE Platform using context switching functionality under Docker for Mac Platform. Download the below package based on your system. Extract the archive to any location on your file system. Restart your terminal for the changes to take effect. In your browser, log in to your Google user account when prompted and click Allow to grant permission to access Google Cloud Platform resources. 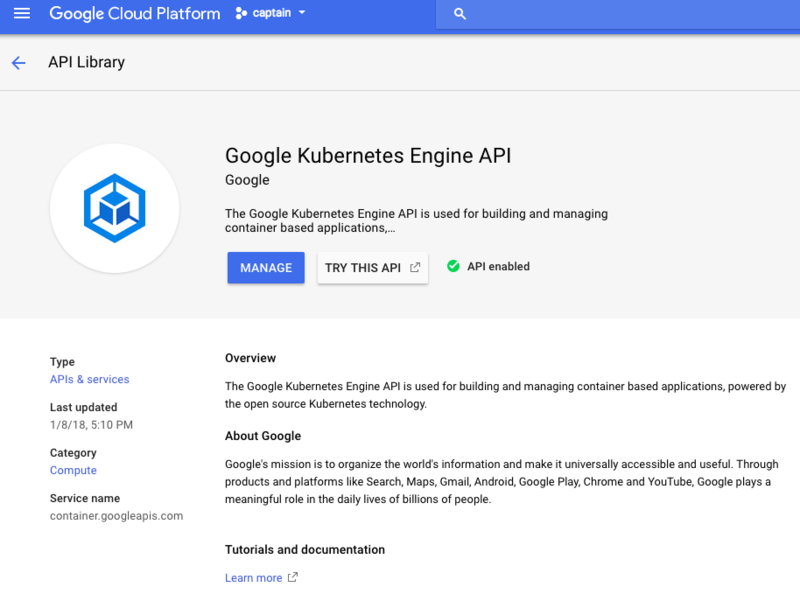 You need to enable K8s engine API to bootstrap K8s cluster on Google Cloud Platform. To do so, open up this link. WARNING: The behavior of --scopes will change in a future gcloud release: service-control and service-management scopes will no longer be added to what is specified in --scopes. To use these scopes, add them explicitly to --scopes. To use the new behavior, set container/new_scopes_behavior property (gcloud config set container/new_scopes_behavior true). WARNING: Starting in Kubernetes v1.10, new clusters will no longer get compute-rw and storage-ro scopes added to what is specified in --scopes (though the latter will remain included in the default --scopes). To use these scopes, add them explicitly to --scopes. To use the new behavior, set container/new_scopes_behavior property (gcloud config set container/new_scopes_behavior true). 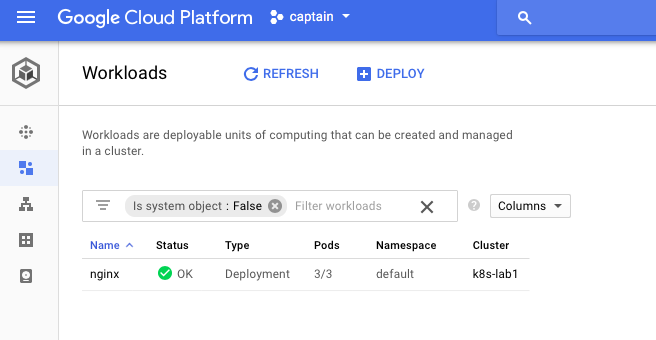 kubeconfig entry generated for k8s-lab1. Click on Whale icon on the top right of Docker for Mac and by now, you must be able to see the new Context getting appeared. Method-1: Click on “Connection” button to see how to connect to K8s-lab1. 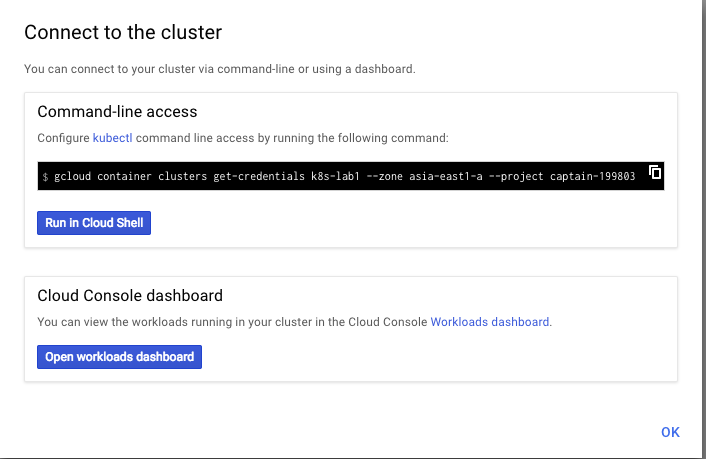 You can connect to your cluster via command-line or using a dashboard. Fetching cluster endpoint and auth data. 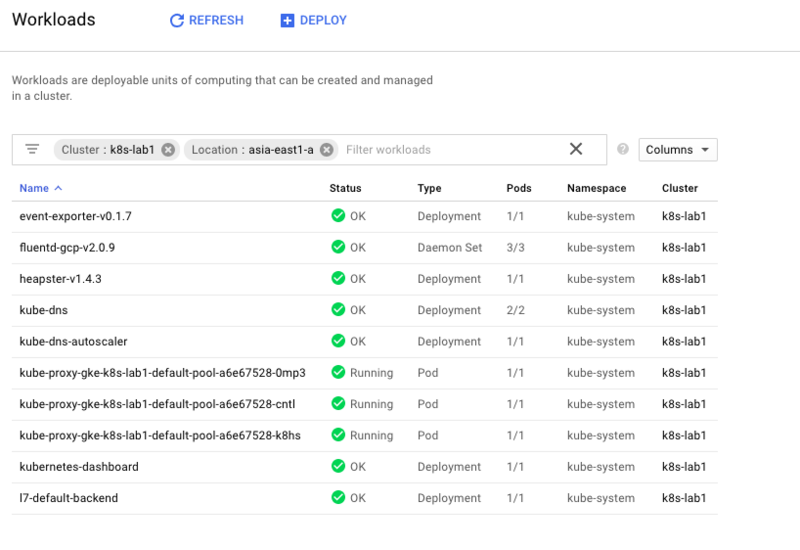 kubeconfig entry generated for k8s-lab1. 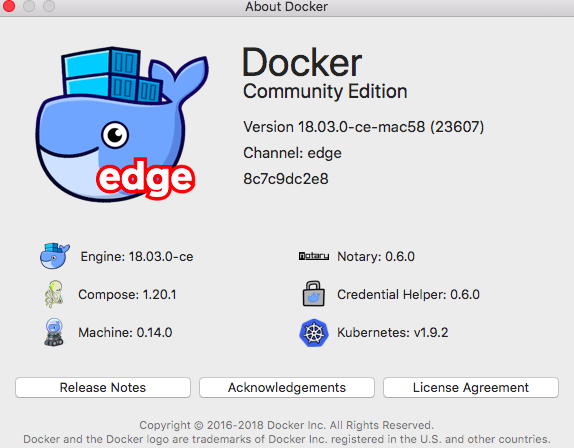 Let us see how to deploy Nginx on remote GKE cluster using Docker for Mac. This requires two commands. deploy and expose. This will create a replication controller to spin up 3 pods, each pod runs the nginx container. Step 2: Verify that the pods are running. Youcan see that each nginx pod is now running in a different node (virtual machine). Once all pods have the Running status, you can then expose the nginx cluster as an external service. 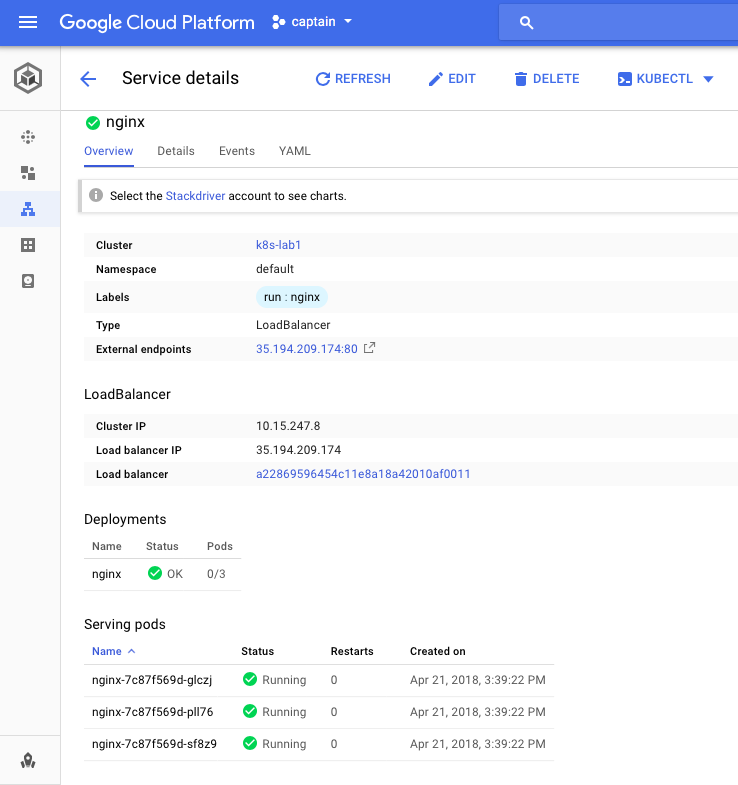 Step 3: Expose the nginx cluster as an external service. This command will create a network load balancer to load balance traffic to the three nginx instances. It may take several minutes to see the value of EXTERNAL_IP. If you don’t see it the first time with the above command, retry every minute or so until the value of EXTERNAL_IP is displayed. You can then visit http://EXTERNAL_IP/ to see the server being served through network load balancing. In my upcoming blog post, I will showcase how context switching can help you in switching your project between Dev, QA & Production environment flawlessly.